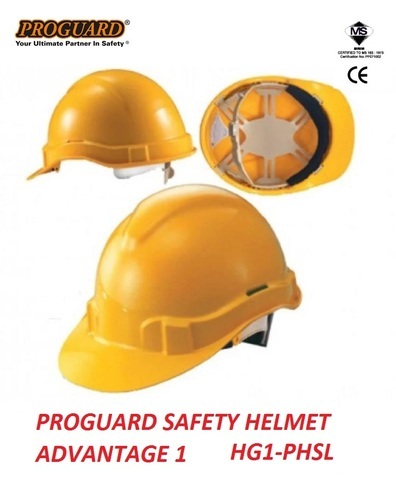 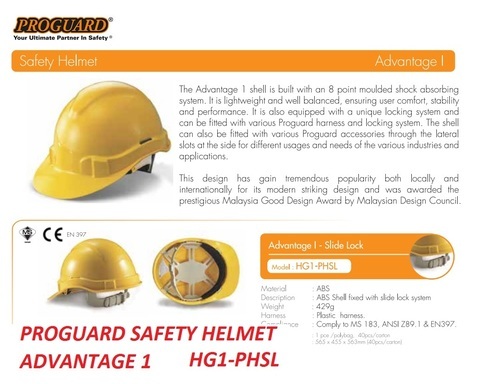 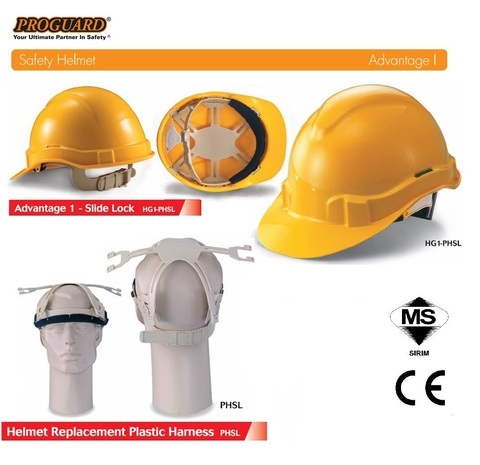 Proguard Advantage 1 - Slide Lock Industrial Safety Helmet..
.ABS shell fixed with unique slide-lock which is an easily adjustable, comfortable and user friendly locking system. 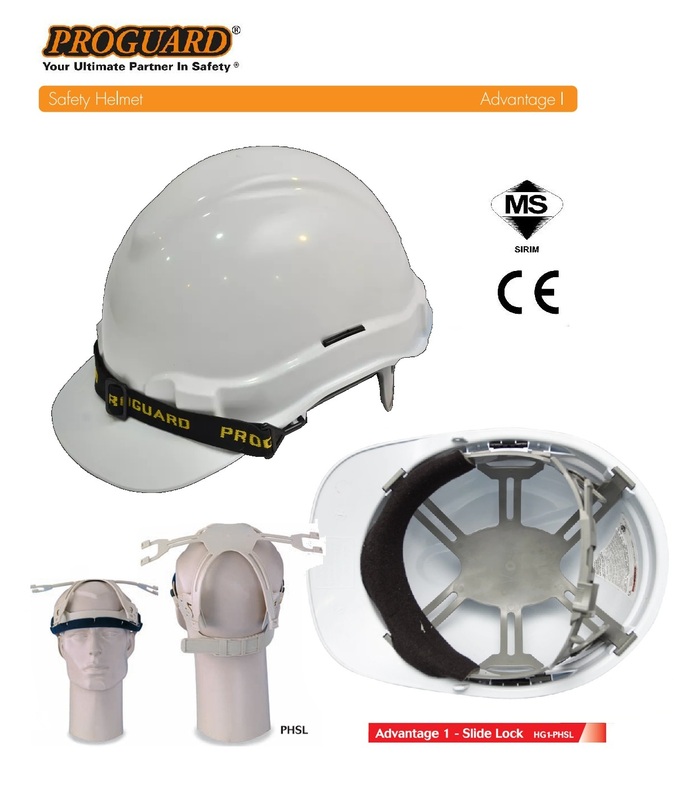 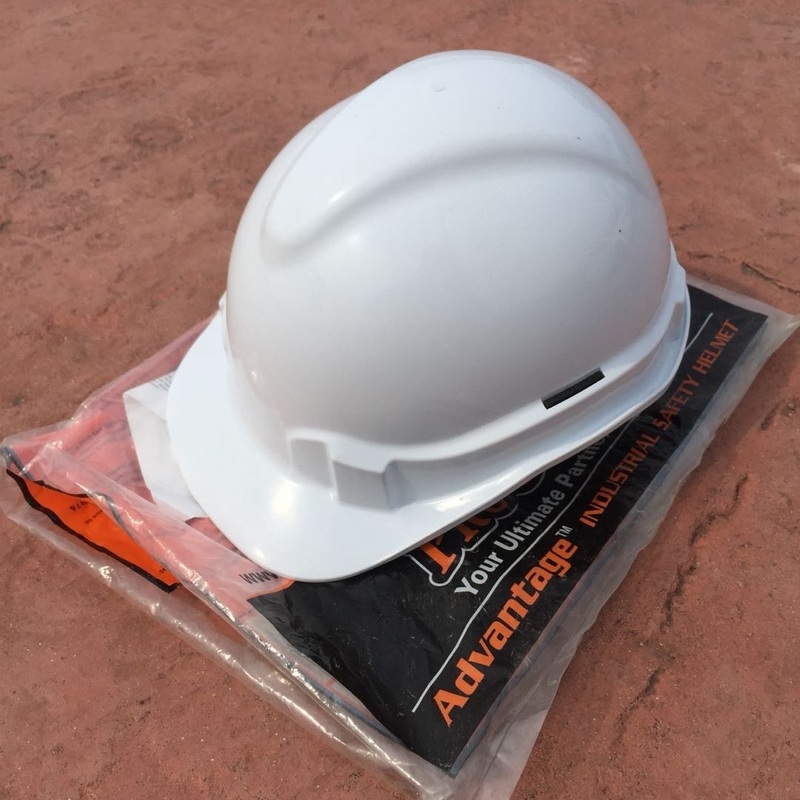 .This slide-lock headband which specially designed together with 8-point moulded shock absorbing suspension system provides essential crown clearance to absorb impact energy. 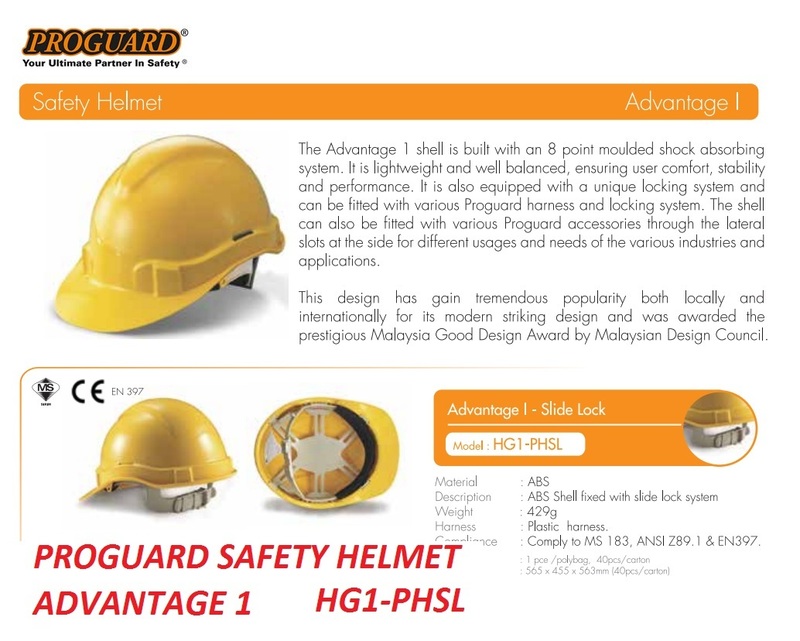 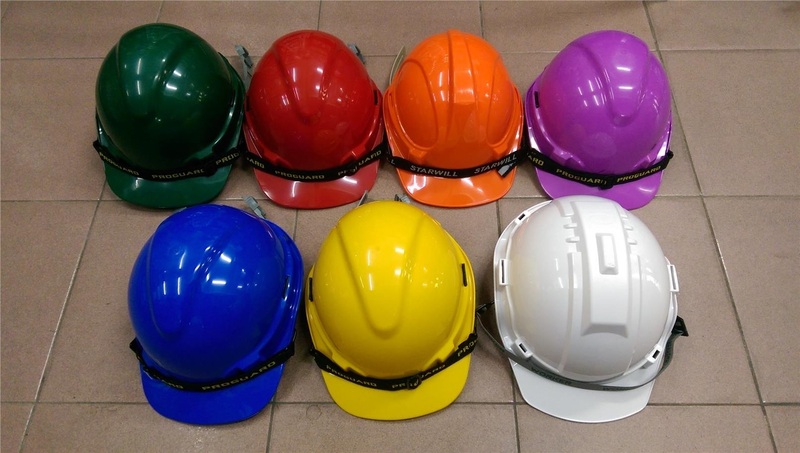 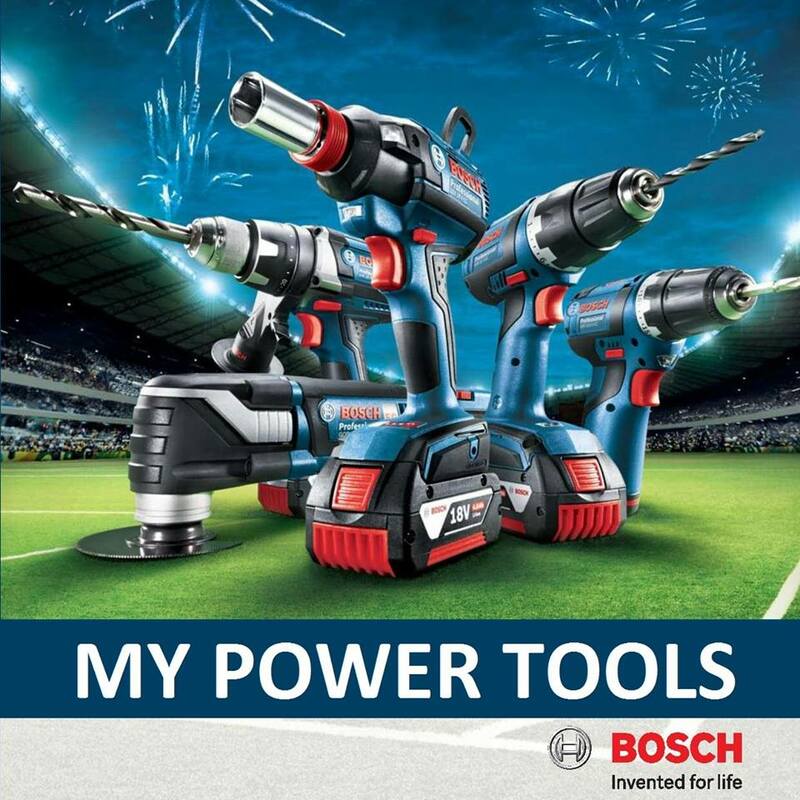 PRICE RM14.00..(Proguard Your Ultimate Partner In Safety)..